These nifty little clips have now been universally adopted in the biking world for fixing the hydraulic hoses on your Disc brakes or Magura's. They are equally as good at securing cables. We are now making them generally available in sets of Three which covers most possibilities. 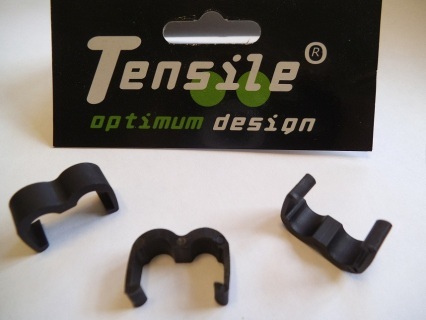 Used by many top bike brands to secure two parallel hoses or cables. Price includes Delivery anywhere in the UK. Price includes Delivery anywhere Worldwide.